On the 18th November 2018, Keith asked Angie to marry him, she said yes! 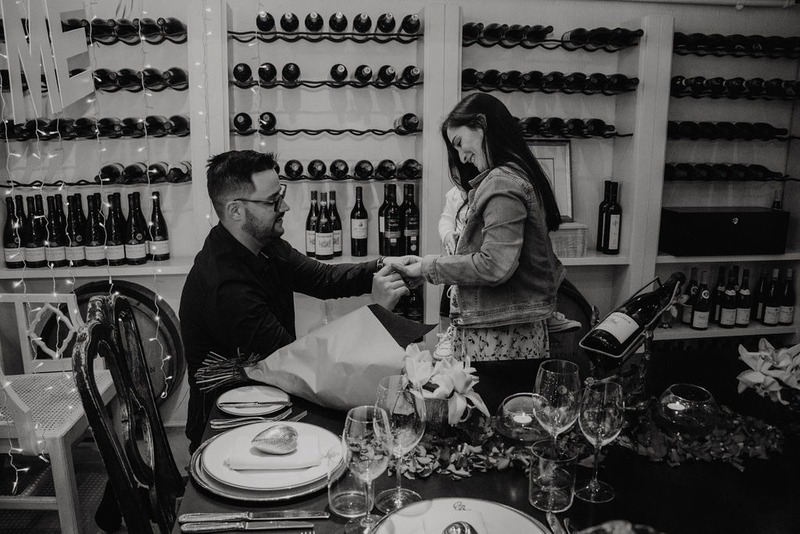 When Keith first contacted us at The Perfect Proposal we knew we were in for a special proposal. 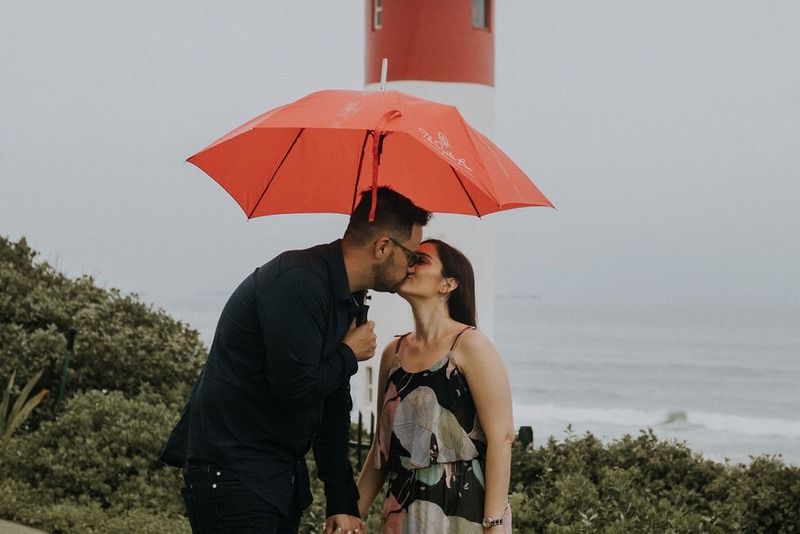 Keith knew that he wanted to spoil Angie and, at the Oyster Box, that is an easy thing to do! Keith got Angie to the Oyster Box spa under the pretences that she needed a treat and to relax while Keith, and their 1-year-old daughter Mia, were “going to Gateway for a while”. He told Angie to be ready at 16h00 to be picked up after her Chakra Balancing Massage. Meanwhile, Keith and Mia sneakily checked in to the Oyster Box for the night! 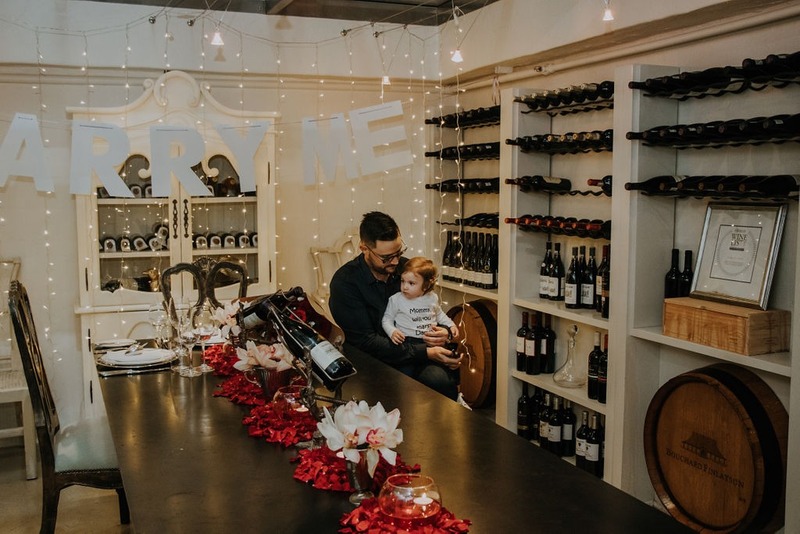 Keith dressed baby Mia in a vest that said “Mommy will you marry Daddy?” and they made their way down to the wine cellar for the proposal. 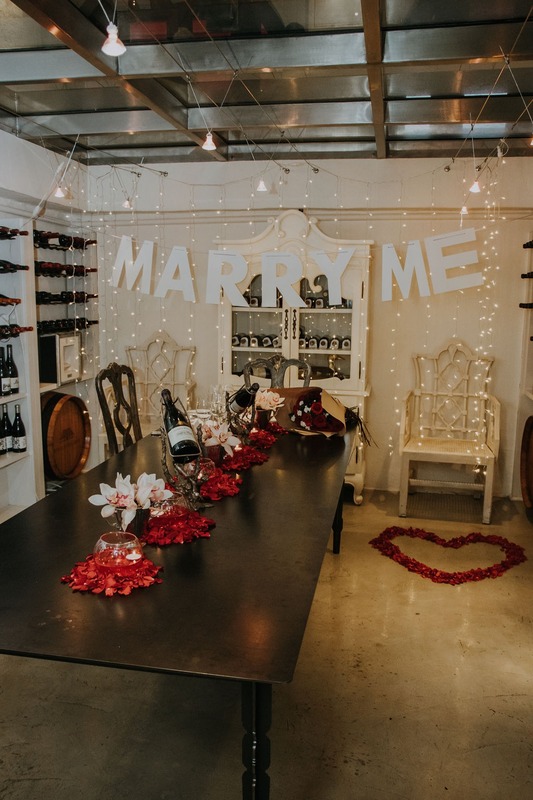 He had originally wanted to propose in the gazebo but unfortunately, the weather wasn’t on our side and so the gorgeous wine cellar, with its glass ceiling, was decorated with fairy lights, rose petals, candles and a ‘Marry Me’ sign. Angie finished her massage and she began her treasure hunt which took her to multiple locations and to their room – where there was a dress waiting for her to put on and a makeup artist waiting to do her make up. We then knocked on her door once she was ready, to lead her to the wine cellar. Angie looked stunning in her new dress! Once Angie walked down the stairs, she could see Keith on one knee and Mia ran towards her! She said YES! 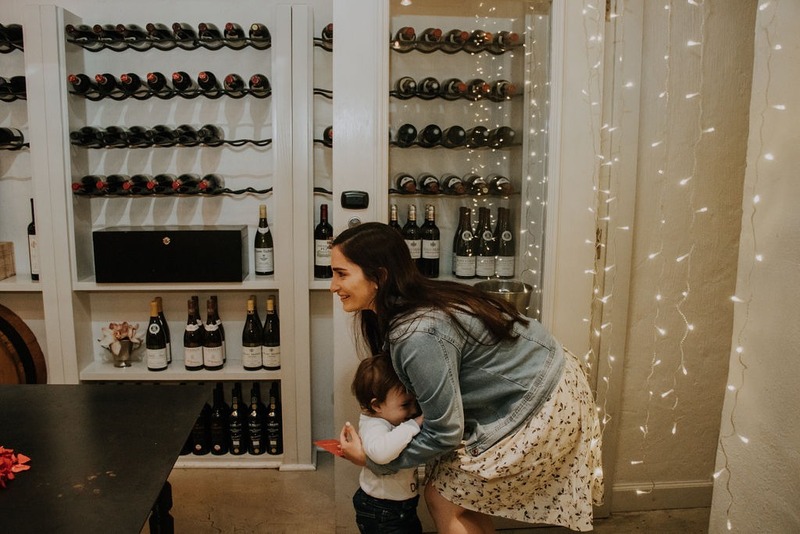 They then enjoyed a couple’s photoshoot, said goodbye to Mia as she was picked up by Granny and Grandpa, and then had a delicious, candlelit 4-course dinner in the wine cellar before heading back to their sea-facing room.